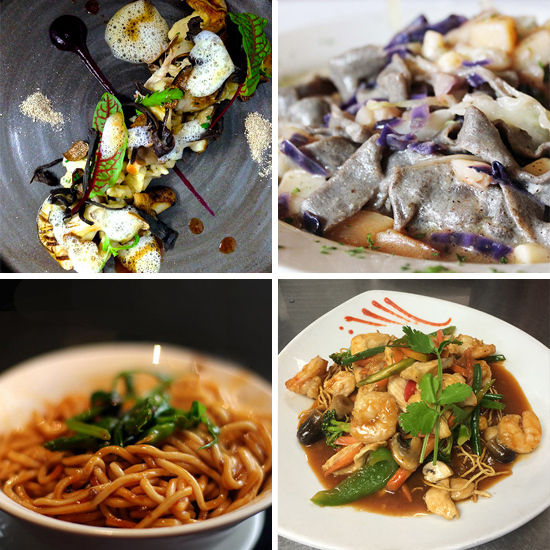 Mimi Sheraton, of 1,000 Foods to Eat Before You Die, reveals the must-try pastas and noodles of this century—and where to eat them. The emblematic street food of Sichuan province and a favorite of night markets throughout China, red-hot dan dan noodles are named for the poles that street vendors in the city of Chengdu once used to cart their cooking pots and equipment. 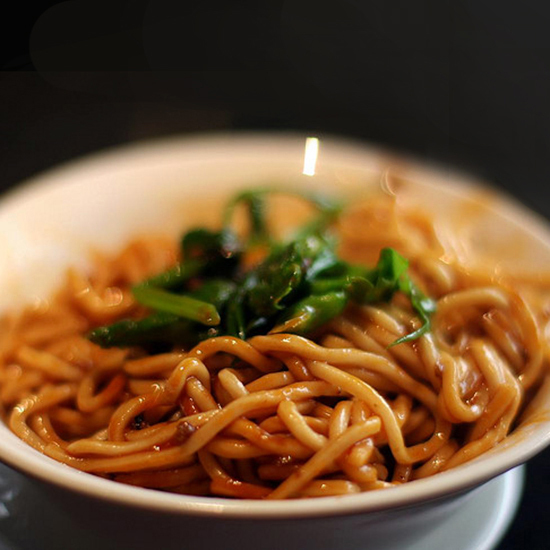 Dan dan mian are bowls of fresh wheat noodles and minced preserved vegetables flavored with an incendiary blend of chili oil, Sichuan peppercorns, dark and light soy sauces, rice and black vinegars and fragrant, dark sesame paste. No two cooks make it exactly the same way, but what remains constant are pleasantly chewy noodles and that fiery, red-hot sauce. Where to get it: In Chengdu, Long Chao Shou, 011-86-28-8666-6947; in New York, Wu Liang Ye, 212-398-2308, wuliangyenyc.com; in Chicago, Lao Sze Chuan, 312-326-5040, tonygourmetgroup.com; in San Francisco, Z & Y, 415-981-8988, zandyrestaurant.com. 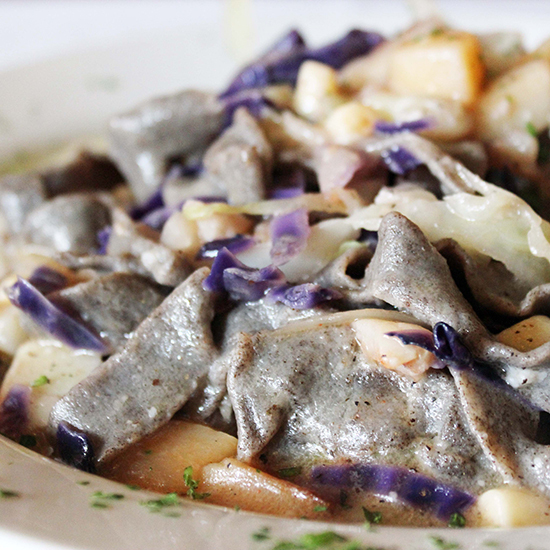 Pizzoccheri, the name for both the rustic, sand-beige pasta and the luxuriously creamy, colorful dish made with it, is based on flour ground from buckwheat. Rolled out and cut into narrow, fettuccine-like strands, the pizzoccheri is briefly cooked while still fresh with diced potatoes and shredded Swiss chard or Savoy cabbage. After draining, pasta and vegetables are put into a casserole dish that has been rubbed with a cut clove of garlic, then layered with ruby dicings of red onion; silver-green leaves of sage; butter; the region’s special, white, soft-melting bitto cheese; and sprinklings of grated Parmesan. It is then heated for a few minutes and served. 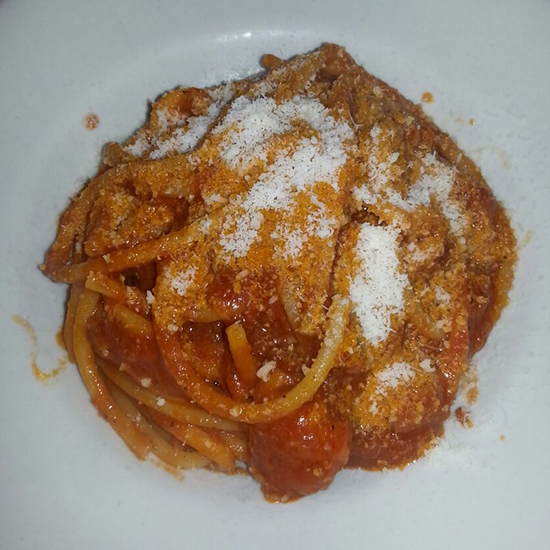 Where to get it: In Forcola, Italy, La Brace, 011-39-0342-660-408, labrace.it; in Queens, NY, Ornella Trattoria, 718-777-9477, ornellatrattoria.com. The best way to describe a platter of mee krob, which simply means “crisp noodles,” is as a nest of pure spun gold on a bed of fresh herbs and crunchy bean sprouts. Its gilded tangle contains a palate-tingling combination of sweetly glazed and crisply fried rice noodles, gently scrambled eggs and diced onion, pork and shrimp. 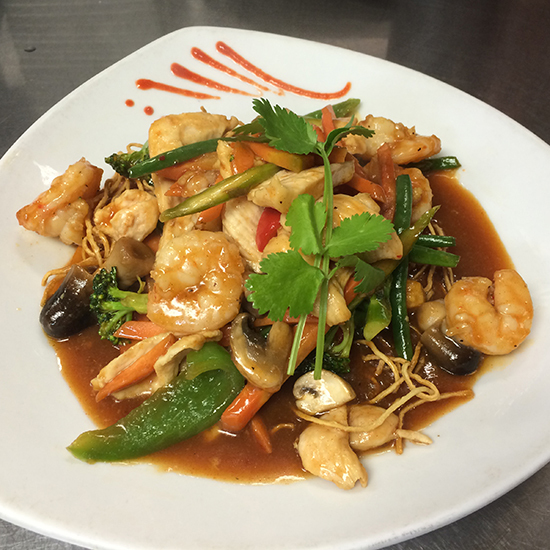 Served as an appetizer or side dish, it is accented by the anchovy-based fermented fish sauce nam pla, as well as scallions, hot chiles and just enough tamarind or lime juice to balance out the golden palm sugar glaze. Where to get it: In New York, Jaiya at two locations, jaiya.com; in Boston, Brown Sugar Café, 617-787-4242, brownsugarcafe.com; in Cambridge, MA, The Similans, 617-491-6999, thesimilans.com; in Washington, DC, Bua Thai, 202-265-0828, buathai.com; in New Orleans, La Thai Uptown, 504-899-8886, lathaiuptown.com; in Houston, Vieng Thai, 713-688-9910; in Norwalk, CA, Renu Nakorn, 562-921-2124. 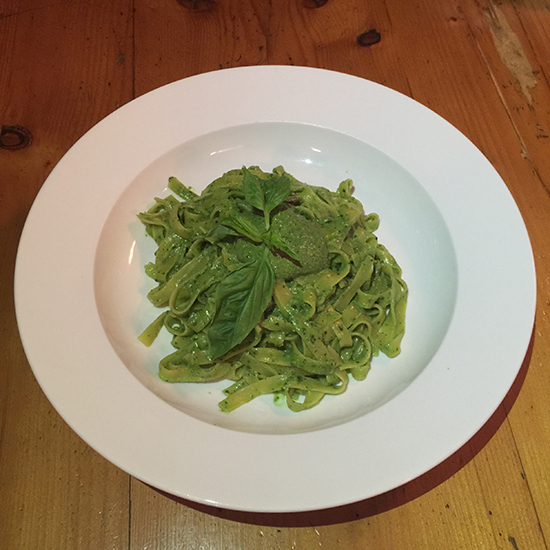 Green, aromatic pesto has a way of evoking the most indolent, bosky summer days. The sauce is composed of fresh basil (with luck, just picked); garlic; pignoli nuts; Liguria’s sunny, sweet olive oil; and Parmesan cheese, which is often combined with an earthy sheep’s milk cheese such as sardo or pecorino. The paste is best appreciated when folded into Liguria’s tiny, handmade corkscrew dumplings, trofie; stirred into slender strands of the local, linguine-like pasta called trenette; or spooned into bowls of steaming minestrone. Where to get it: In New York, Da Silvano, 212-982-2343, dasilvano.com; in Forcola, Italy, La Brace, 011-39-0342-660-408, labrace.it. The chewy nuggets of dough called spätzle are made with nothing more than flour, eggs and water, or sometimes milk. But form is everything where German noodles are concerned, and well-made spätzle must be tiny and ethereally light if they are to serve as vehicles for the rich gravies and drippings of the northern European kitchen. Mostly served as a side dish, the diminutive savories are perfect foils for the juices of roasted meats and game. 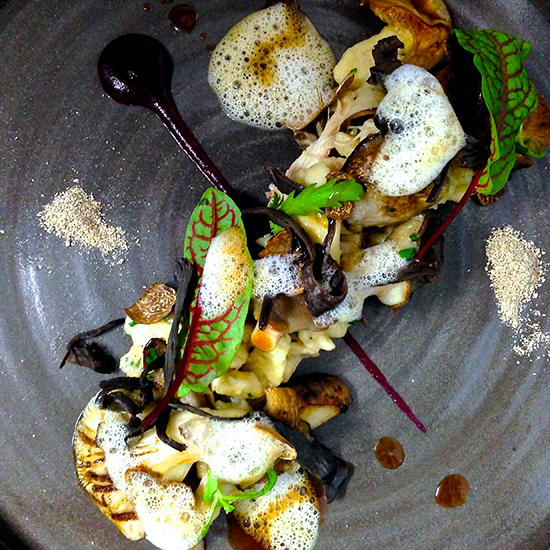 Where to get it: In Berlin, Weinschenke Weinstein, 011-49-30-44-11-842, weinstein.eu; in New York, at the restaurants of Kurt Gutenbrunner, including Wallsé, 212-352-2300, Blaue Gans, 212-571-8880 and Café Sabarsky, 212-288-0665, all at kg-ny.com; in Kansas City, MO, Grünauer, 816-283-3234, grunauerkc.com; in Milwaukee, Mader’s, 414-271-3377, madersrestaurant.com; Karl Ratzsch’s, 414-276-2720, karlratzsch.com; in Seattle, Lecosho, 206-623-2101, lecosho.com; in San Francisco, Suppenküche, 415-252-9289, suppenkuche.com; in Brentwood, Venice and Culver City, CA, Röckenwagner, rockenwagner.com. 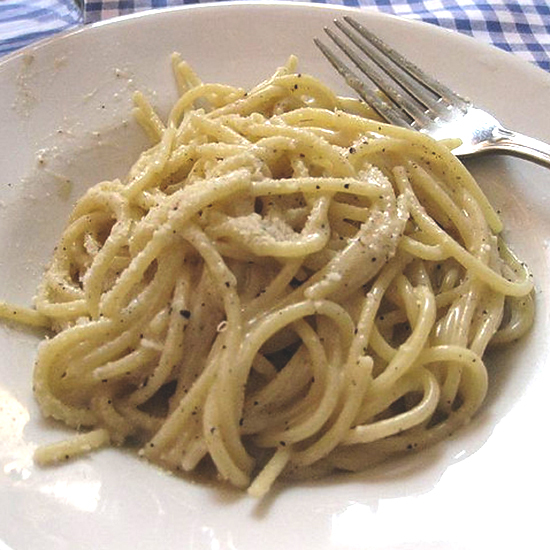 Cacio e pepe, most traditionally made with silky, easily wound spaghetti, is true to its name. Adorned only with a pungent cheese like grated sheep-milk pecorino, it makes an eloquent showcase for a liberal tossing of coarsely ground black pepper. As soon as the hot spaghetti is cooked and drained, the cheese is tossed in to melt slightly as it traps the gritty grains of pepper. Where to get it: In Rome, Ristorante Matricianella, 011-39-06-683-2100, matricianella.it; Al Moro, 011-39-06-678-3495, ristorantealmororoma.com; in New York, Sandro’s, 212-288-7374. Bucatini all’amatriciana features the long, wide, tubular pasta unequivocally beloved in Rome, but the origin of its delicate yet satisfying sauce of tomato, onion and bacon is a matter of territorial dispute. The sauce’s birthplace, the small town of Amatrice in the Sabine Hills, was once part of the Marche region of Italy; later, the town was folded into the Roman province of Lazio. So who owns the origin story? Twirl some pasta around your fork, take a bacon-and-onion-laced bite enhanced with grated pecorino or Parmesan and some minced parsley, and you’ll be too content to argue. Where to get it: In Rome, Ristorante Matricianella, 011-39-06-683-2100, matricianella.it; Al Moro, 011-39-06-678-3495, ristorantealmororoma.com; in New York, Sandro’s, 212-288-7374. Among the world’s cherished noodles, Japanese soba is one of the most unusual forms: a silky, toasty, spaghetti-like stick made from buckwheat flour. 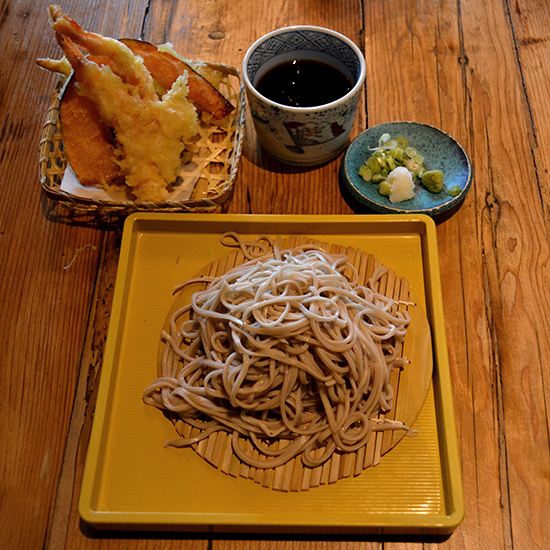 Although in soba restaurants, the noodles can be had hot in rich broths fleshed out with bits of chicken, duck, shrimp tempura, tofu, mushrooms or other offerings, purists opt for zaru soba—“soba in a basket,” which might really mean soba on a bamboo mat—with the noodles served cold. (Quite cold, in fact, especially when there’s cracked ice under that bamboo mat.) Where to get it: In Tokyo, Toshian, 011-81-3-3444-1741; in New York, Soba Nippon, 212-489-2525, sobanippon.com; EN Japanese Brasserie, 212-647-9196, enjb.com; in Washington, DC, Sushi Taro, 202-462-8999, sushitaro.com; in Brentwood, CA, Takao Sushi, 310-207-8636, takaobrentwood.com; in Seattle, Miyabi 45th, 206-632-4545, miyabi45th.com. 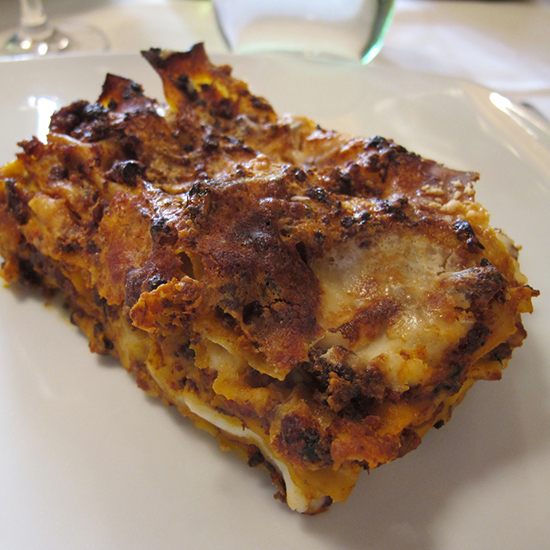 This Marche-style lasagne was created in 1799 by the chef to the Austrain prince and general Windisch Graetz (say “Windisch Graetz a few times fast and you’ll get the name). For his creation, the ambitious chef had combined tender nuggets of organ meat, such as sweetbreads and minced chicken giblets, and seasoned the mixture with carrots, onion, white wine, a touch of tomato sauce, chicken broth and a light drizzle of milk. Layered with noodles and spread on a nutmeg-scented béchamel sauce, the end result is thinner and crunchier than traditional lasagne, with a teasing bite from the unusual meats. Where to get it: In Macerata, Italy, Da Secondo, 011-39-0733-260-912, dasecondo.com.